Get your testimonial posted on this page and also get a copy of our Home Addition Building Guide (a $20 value) for free! Are you thinking of buying an Ebook on Building Advice or Finding a Good Contractor? Well you are in luck! As a retired builder from an award winning construction company in New England, I've picked up a skill or two along the way that will help you tremendously. Think of me as your builder friend that has the golden advice to put you on easy street. Anyone who knows me, already enjoys all the free advice whenever they remodel their house and now you can too. Here Are Some of My Favorite Testimonials About My Ebooks, Contractor Finder Service, and Remodeling Advice. Wow, I didn't know that Voitek does this and Youtube... AWESOME WORK MAN! Voitek helped me get a brand New Engine free of charge by my dealer in my 2008 Nissan Altima thanks to his YouTube video on oil consumption! Ever since that video I became a loyal subscriber. I love how detailed he makes his tutorials, I even watch the ones I will never do, but don't ask me why LOL. I joke with my wife and say that I'm going to remodel our entire house myself as long as he's posting videos LOL. Thanks man, I enjoy your stuff. Take care brother. Best Wishes Voitek aka Proven Helper. "Thanks for taking the time to help us over the phone last Monday about our deck build in Glastonbury CT. We decided to go with the composite so that I don't have to paint it every year to keep it looking good." "Hey my wife and I really like this website. We spend a lot of time day dreaming about which home additions we are going to build onto our house and when it came time to reface our kitchen cabinets my wife Julia decided to use your automatic contractor finder to find out who's worth calling in our neck of the woods. We spoke with 3 contractors and narrowed it down to two to actually provide us with an estimate. Using your tips, we got accurate quotes from both of them. Ultimately we chose the one that we felt more comfortable with as you recommended. Thanks again, our kitchen cabinets look great and our overall experience was nice and simple!" 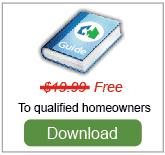 "Excellent website and thank you for writing the How to Hire a Contractor for Dummies Guide. Your advice uses a lot of common sense and that's what really works!" "I called in to Simply Additions and spoke to Voitek about completing a second story addition onto my ranch house. He pointed me to a page with an article that really helped me understand how to pick a contractor from the perspective of a general contractor. I used Voitek's advice and used the contractor matching service on Simply Additions and got in touch with 3 local contractors who are known to do good work here in Boise Idaho. I used the advice in the article and also the home addition building guide to give each contractor the opportunity to provide me with apples to apples estimates. Surprisingly all the quotes were very close to each other which did surprise me, but I guess the worksheets I gave to each contractor kind of insured that they will all estimate the same thing. Anyways the $24.99 was a great investment in the building guide and the free articles helped me ask the right questions which led me to the perfect contractor for my project. 3 months later I have a two story home that I love and I actually paid what the contractor quoted me! Based on my experience I highly recommend Simply Additions contractor locating service, the lucky seven building guide and of course the how to hire a contractor articles. Thank you guys!" "After watching Mike from Holmes on Homes on HGTV scared me when it came time to add on another bedroom for our new born. I did some research on bedroom additions and found Simply Additions. I looked over the How-to Articles and read pretty much every single item in the Hiring Contractors Guide, boy was I glad that I did :) I filled out the form to request to be matched with local professionals and interviewed 4 contractors total. Using the knowledge I learned from the site, I eliminated 2 of the contractors right off the bat because they wouldn't put everything in writing for me like the guides tell you to ask about. The last 2 addition builders had over 10 years experience, they were both polite, and I got along with them both. However, one gave me a price $9,985 less than the other guy for the same exact addition. So I went with option 2. I'll let you know how it goes. Update: It's been 3 and a half months and my newborn baby boy (Jake) is enjoying his new nursery and our 4th bedroom! The contractor Simply Additions helped us choose did a great job and we just had to write in our testimonial. " 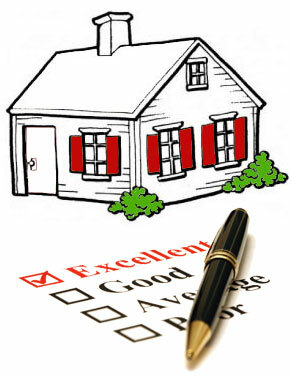 "My favorite thing about your website is the photo gallery and the home addition packages. Your the only website who provides so much detail in your 3D interior renderings. It sure is nice to know how much furniture I could fit into my new room addition. "I'm a baby boomer and I actually built 3 home extensions onto various homes that we lived in. I discovered your website a few years ago when my wife and I were planning to build an in-law apartment for our oldest son, who lost his job due to the economy. Well I'm pleased to say that I used the advice and the worksheets in your addition building guide and executed my in-law addition without being stressed out! When someone provides you with a blueprint of how to build an addition from the standpoint of a general contractor it's information that truly changes the experience of doing a major renovation such as this. God Bless you guys, I'll recommend your website anytime the word addition comes up." "I downloaded your ebook building guide and had to write in about how much it helped me! Thanks for making my overwhelming project easy!" My wife and I were looking to build a modular house in Scranton Pennsylvania (just like in "The Office" tv show). After viewing your home plans, we decided to quote something like your North Carolina house plan, so we filled out the form to get in touch with a home builder. The next day I got an email from a local builder, we hit it off and I actually didn't even contact another company. I know that is a no no based on your guides to hiring a contractor, but the builder your site suggested is actually a friend of the family and a Better Business Bureau award winner as well. Anyways, I thought it was a interesting story to share. Great site, I shared it with my friends. I read your article "Is Solar Power Really Worth It" and got inspired to install a 260 watt kit myself to power my exterior lights. I also used the photocell for outdoor lights from your other article about making automatic lights and now all my exterior lights are powered by Solar and turn on and off by themselves. Great articles SimplyAdditions! Well I know this ain't Match.com or eharmony but I actually met my husband by using your Automatic Contractor Locating Service. At the time I was looking to remodel my tiny kitchen by blowing out a wall and basically extending the kitchen area into my side yard. I met with 4 contractors and one of them was a real looker :) Being a divorced 40 year old woman, I don't exactly beat around the bush. Long story short, I got a kitchen extension and engaged in the course of one year thanks to your site! I am a big fan of the art of Feng Shui and have been thoroughly impressed by your website. I love your Noel Colonial with the Feng Shui design touches. Are you guys using a little Feng Shui design philosophy in your web design? I generally don't give a hoot about pretty flowers or ornate landscaping when it comes to taking care of my lawn. Last spring my neighbor used your website to find a professional landscaper before he sold his house and I was simply blown away at what a difference the landscaper made in a week's time! Let's put it this way, I used your website and got the name of the same contractor he used and now I feel a little bit more proud when I pull into my driveway every day after work! I guess it's called curb appeal from what my kids tell me, I just call it a slice of heaven.